Impressive image quality. Stunning videos. A camera that's slim and comfortable. The PowerShot G9 X camera is all this and more, featuring a 20.2 Megapixel, 1.0-inch High-Sensitivity CMOS sensor, Canon's powerful DIGIC 6 Image Processor and a fast, f/2.0-4.9 lens that helps you capture inspiring images - even in low light - with detail and color to match. Whether you carry it in your hand, a bag or inside a pocket, the PowerShot G9 X can accompany you anywhere you go and is slim enough to quickly be in your grasp when opportunity knocks. Subjects in the distance become closer with a 3x Optical Zoom lens (28-84mm equivalent). Movement can be captured in stunning Full HD video, or frozen in beautiful increments with up to 6.0 fps continuous shooting. Should you find yourself gazing at the stars, switch into Star Mode and admire the view. With a convenient control ring for quick adjustments on the fly, built-in Wi-Fi and NFC for simple sharing and its appealing portability, the PowerShot G9 X is ready when you are, where you are. At 1.0 inch, the image sensor on the PowerShot G9 X camera is larger than the ones on most other compact cameras. This allows it to capture a greater range of light, so bright areas of the image, like clouds on a sunny day, can be more detailed and less likely to be washed or blown out. With low-light scenes, like when you're indoors or outside at night, an ISO range of 125–12800 lets you use fast shutter speeds to help keep photos sharp and virtually unaffected by camera shake. The 20.2 Megapixel resolution is outstandingly high, giving you the option of printing out bigger photos or cropping in to highlight the best part. The PowerShot G9 X camera is powered by the latest iteration of Canon's proprietary processor, the DIGIC 6 Image Processor, which takes still and video image quality to a beautiful level. Improved light sensitivity allows for higher resolution with less noise when shooting in dark conditions, and Dynamic IS now detects and compensates for tilt and parallel movement (shift blur) to create video that's exceptionally free of distortion. The DIGIC 6 Image Processor also enhances the performance capabilities of the PowerShot G9 X, powering full-resolution high-speed continuous still shooting (even in P, Av, Tv and M modes) and the advanced star shooting modes. The processor allows for MP4 video recording for better compatibility with mobile devices and tablets. Highly compressed MP4 video not only preserves space on your memory card but also improves playback on mobile devices. The processor also supports an MF Peaking function, giving you a pro-level focusing tool. The Canon HS SYSTEM lets you take bright, clear photos as they happen. Beautiful low-light shots are possible with minimal noise and truly impressive detail in both highlight and shadow areas. The system is the result of two technologies in the PowerShot G9 X camera: the large format 1.0-inch High-Sensitivity CMOS sensor, which captures more light; and the DIGIC 6 Image Processor, which actively reduces noise at high ISO speeds up to 12800 and processes images at high speed, even at full resolution. Experience the freedom of using higher shutter speeds in far more situations, allowing you to capture images with exceptional clarity and detail. The PowerShot G9 X camera has an impressive zoom lens with a remarkable optical zoom range, helping you capture wide shots like a big party scene or a gorgeous canyon, or enabling you to zoom in and get a wonderful close-up. The fast aperture goes as low as f/2.0, meaning it's possible to see the subject and take clear photos in low light, often without a flash. Combined with Intelligent IS image stabilization, it helps to ensure virtually shake-free images, even in dark rooms or outside at night. Equipped with Canon's innovative Intelligent IS, the PowerShot G9 X camera helps you capture clear, steady images - even in low light without using a tripod. The system automatically analyzes camera movement and applies the best shake correction method for the shooting situation - allowing you to focus on framing and capturing your shot. For stills, the system selects from Normal IS, Panning IS, Macro (Hybrid) IS and Tripod modes. When shooting video, the system selects from Dynamic IS, Powered IS, Macro (Hybrid) IS and Active Tripod IS modes. Icons clearly mark the image stabilization mode, whether you're shooting still images or video. At only 7.37 ounces (209g), the PowerShot G9 X is a compact camera that's not much bigger than a deck of cards, and can easily fit into a pocket or purse. Despite its size, it packs a large, high-quality image sensor and fast f/2.0 lens. These work together with features such as the DIGIC 6 Image Processor to help create high quality photos, even in low light. This means you can have a camera within easy reach that's able to deliver detailed images that show the texture of clothing fabric, the colors of a sunset or the moment a player kicks a ball at the goal. The 3.0-inch touch panel is designed to take advantage of both hands while holding the camera so you can make adjustments while still being ready to snap a photo. The menus are customizable, meaning the settings you adjust frequently are easily accessible. You're also able to swipe quickly through photos you've taken, and tap the screen to easily adjust picture options and change what the camera is focusing on. In addition, the control ring around the lens can be rotated with your fingers to make adjustments to various settings, simplifying the process even further. Quick, simple adjustments are ideal when you're trying to capture the great moments in life. The PowerShot G9 X camera uses a combination of a responsive, 3.0-inch touchscreen and a smoothly rotating control ring around the lens. Your right thumb can pick the setting you'd like to change, and then your left fingers can rotate the control ring to adjust it, all without lowering the camera or taking your finger off the shutter. For example, if you're trying to capture a dog playing in the sun, you can quickly adjust the shutter speed with a tap of the menu and a twist of the control ring to get the amount of detail you desire, while keeping a bit of blur to show action. With its large sensor and high performance lens the PowerShot G9 X camera creates spectacular 1080p Full HD video, but this premium model takes video-making even further with several high-end features. Set video capture to your shooting needs: 24p, 30p or 60p, with MP4 format available for easy sharing. Advanced audio includes expanded dynamic range and a better S/N ratio. Improved Dynamic IS significantly reduces shaking caused by handheld shooting. Manual controls (Av, Tv and ISO) can be set prior to and during shooting for full creative expression, and Manual Focus is also available. Shooting to commercial specifications is now possible with HDMI Live Out for checking images on an external monitor, and an advanced tripod socket for smooth panning and tilting. Built-in Wi-Fi technology is included for on-the-go convenience when you want to share your photos and videos with friends, family and the whole world. Easily post your images to social networking and media sites - Facebook, Twitter, YouTube, Flickr, and Google Drive - through CANON iMAGE GATEWAY directly from your PowerShot camera, or save them to the online photo album to share anytime, anywhere. The camera can also connect directly to both iOS and Android devices, and upload images via the free Canon Camera Connect app without a computer. You can control the destination of your uploads to share with everyone or to selected groups, and even add comments. Sharing video is also easy with Wi-Fi equipped PowerShot cameras, which record video using the easy-to-share MP4 format. Enhanced Wi-Fi makes posting in real time possible, so you can keep everyone up to date with photos and video even as events unfold. Wi-Fi technology also allows you to transfer images to other Wi-Fi equipped PowerShot cameras or print your photos directly to a PictBridge (Wireless LAN) certified printer. 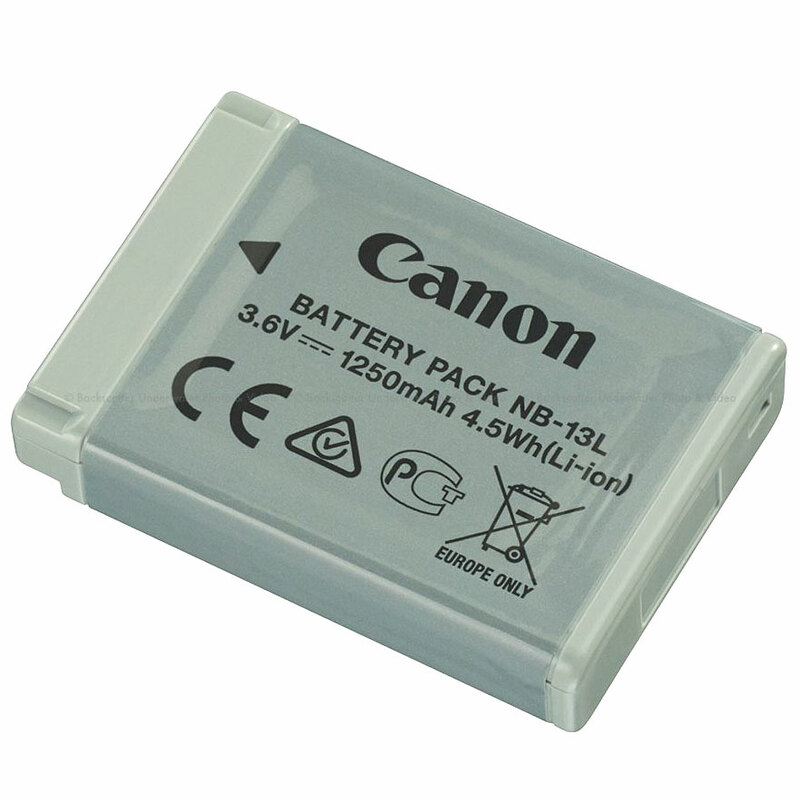 PowerShot digital cameras with built-in NFC (Near Field Communication) technology eliminates the need to manually find and open the Canon Camera Connect app on your mobile device. Simply touch the NFC icon on your camera to your compatible Android device, and the Camera Connect app will launch automatically for quick, easy sharing of your images. Built-in NFC technology also makes it simpler to install the app. If the app hasn't been installed yet, once you touch the devices together for the first time, the download screen will display automatically. Now, NFC helps ensure a seamless connection to a compatible Android device. Simply touch the camera against an NFC-equipped device with the Canon Camera Connect app installed, and the Wi-Fi connection is established - no camera operations required. Even if your camera is off, NFC turns the camera on and establishes the connection (confirming the camera's nickname and privacy settings before the first connection is required). Remote shooting functions of the PowerShot G9 X camera through your smartphone or tablet have been vastly improved with the Canon Camera Connect app. Now a variety of the camera's expressive capabilities are available to you: use different shooting modes (P, Av, Tv, M, Custom); enjoy multi-aspect shooting and display; choose AF frame modes (single-point/face detection); shoot in continuous shooting mode; and utilize the AF button. In addition, the Camera Connect app is now universal to PowerShot and EOS cameras with built-in Wi-Fi, so if you switch between cameras, operation is easy and familiar. The camera's dedicated Mobile Device Connect Button gives you one-touch access to your compatible mobile device or computer (utilizing Image Sync function). You can transfer photos and videos to your smartphone or tablet for immediate sharing to a computer on the same network. When the camera finds a linked computer on the same wireless network, images are sent directly to it. Otherwise, images are temporarily stored on CANON iMAGE GATEWAY then transferred once a connection is made - very convenient when you're on vacation or out for the day. The PowerShot G9 X camera is fully compatible with Canon's photo and video storage device: Connect Station CS100. By simply tapping with NFC, photos and videos are wirelessly transferred to the Connect Station, where up to 1 TB of hard drive space and simple menus make them easy to store, manage and sort by albums, date or device name. From there, images and videos can be viewed in Full HD on an HDTV (via an HDMI cable), sent to compatible wireless printers, viewed/uploaded/downloaded from smartphones and tablets or PCs, and shared with other Canon Connect Stations and on social networking sites. Just because you want to capture a memory forever, doesn't mean the world pauses for your camera. Whether it's an epic running catch in a big game or a group of friends diving into a lake, the PowerShot G9 X camera's fast capture (up to 6.0 fps) can help save the moment you want. Starry skies were formerly out of reach to all but experienced SLR camera users, but the star shooting modes on the PowerShot G9 X camera make these wonderfully impressive images accessible to all. With just a tripod and simple settings, you can capture exquisite Star Nightscapes, Star Trails and Star Time-Lapse Movies. The modes can be performed fully automatically or with manual controls for extra versatility. Support functions including Night Display, Color Adjustment and Star Emphasis make any starry sky easier to capture.